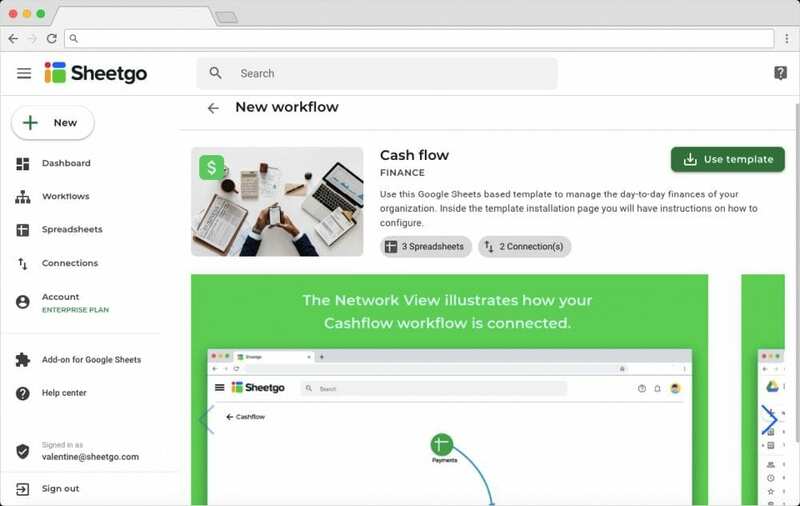 Simply put, cash flow is the money going in and out of a business. Think payments, expenses, invoicing, etc. 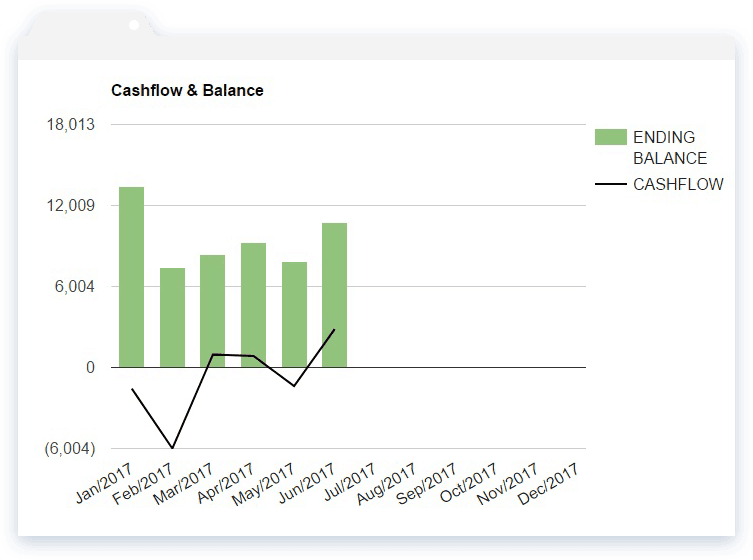 Cash flow management is the careful tracking and analysis of these transactions. There’s no dispute that finances are best tracked in a spreadsheet. 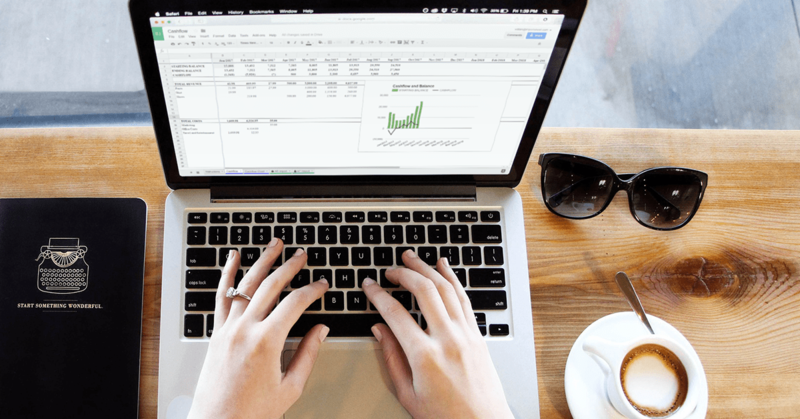 You could track cash flow in a static spreadsheet, but this will require a lot of manual work and manipulation when what you really want is a system that will make visualizing and reporting financial data a breeze. 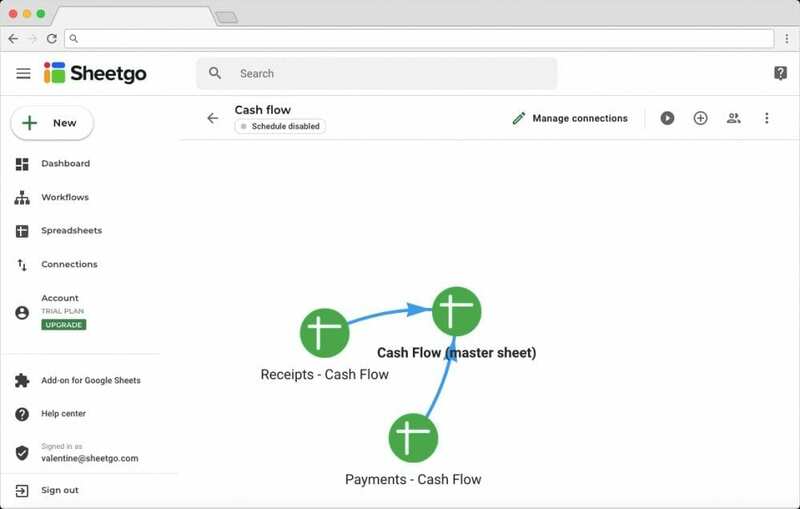 Follow the steps in this simple tutorial to have a single tab in your cash flow sheet that summarizes monthly revenue and costs which are then summed to your monthly cash movement and bank balance. This information is included in a simple graphic that allows you to see these variables daily and can easily be included in a Google Site portal or report for management and investors. Use the button below to install the Cash flow template. You will be asked to log in with your Google account to make sure that your Google Sheets are available. At the same time, your Sheetgo account will be created. You will need to have Sheetgo enabled on your Google Sheets account to use this template. After logging in, click on the ‘Use template‘ button to configure the Cash flow template. 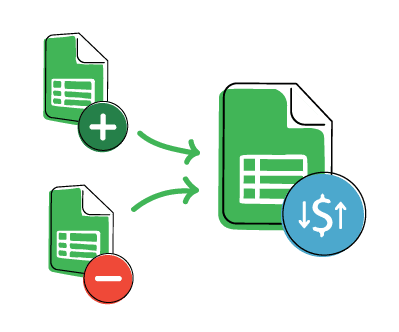 Sheetgo will automatically create the system by connecting the 3 spreadsheets called “Payments“, “Receipts” and “Cash Flow“ and install them into your Google Drive. Once configured, you will see the Network View that exactly shows how the system is designed. 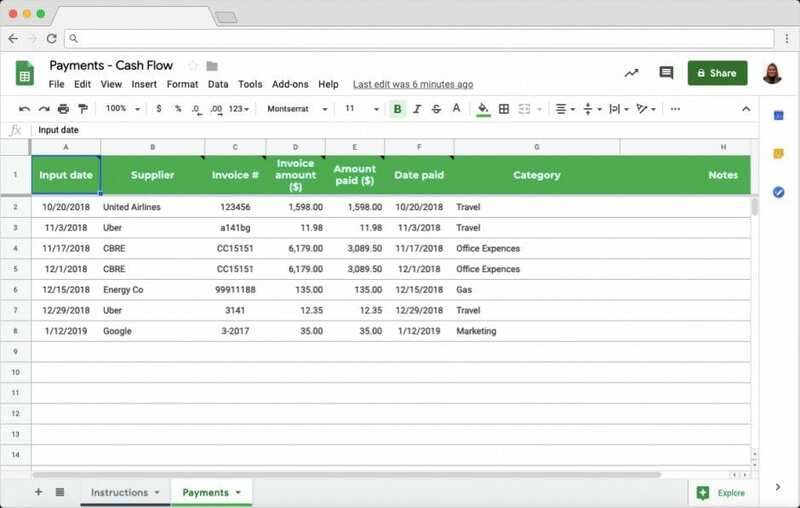 To use the template, click on all the spreadsheet icons to open the two input spreadsheets “Payments” and “Receipts”, and the master spreadsheet “Cash Flow”. In each of these spreadsheets, you will find two different tabs. One with instructions and one with sample data we provided for your payments and receipts. Overwrite this dummy data with your own information. 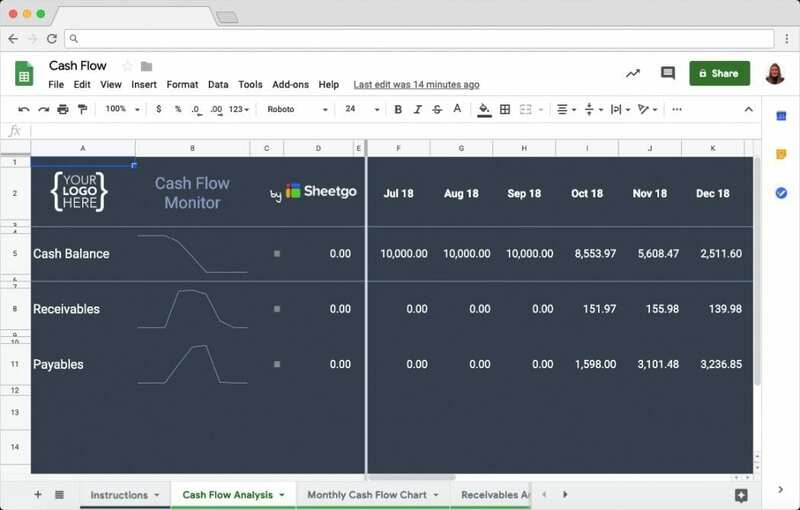 You’ve configured your Google Sheets cash flow template. Feel free to adapt it as you see fit to meet the needs of your business. If you have had difficulties making this template work, please chat with us using the bubble on the right below and we will be happy to assist you with setting it up.